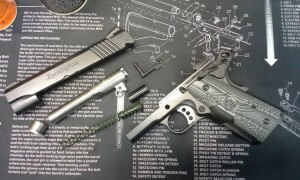 I’ve taken a closer look at the Remington R1 1911 pistol. Six of them, actually. When they first came out, my impression was favorable. I liked them. And I wanted to still like them. For 699 they seemed to be a great deal. And for some, meaning Remington Fanboys, they still are. 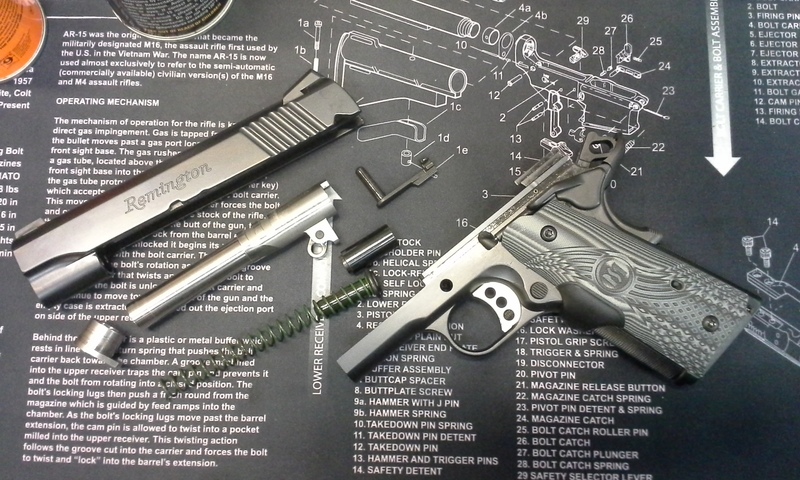 Closer examination of the R1 reveals a shortcoming I didn’t expect from Remington. When I stripped them down and looked closely at the internals, I didn’t like what I saw. The internal machining was sub-par. A 450 dollar ATI has better machining. A Taurus has better machining inside. Though for 699, you do get to beat your chest about “American Made”… right alongside Charter Arms, Auto Ordinance, and Hi-Point. Great. The good news is that Para USA is now making guns in the USA. So if you want a Remington R1… Buy a Para USA Wild Bunch.